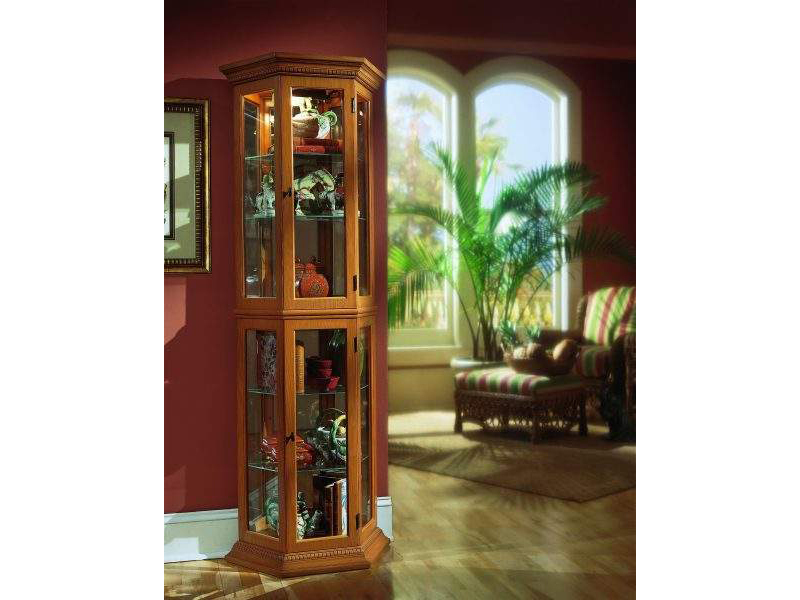 Our curio is the right size for fitting a sizable collection into a small, high-traffic space. We designed this curio in the classic style with ogee moldings and dentil accents. It is built in select hardwood solids and veneers and a light English Oak Il finish just right for a country home. The Curio has two doors, a mirrored back, interior lighting, and adjustable glass shelves.